Painless Jack Tryon, also sometimes known as "Three Star Jack", was often billed as the "World's Most Handsomely Tattooed Man." 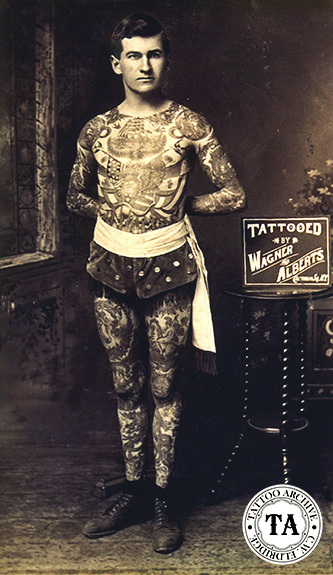 Charlie Wagner and Lew Alberts tattooed him around the turn of the 20th century. Tryon worked as an attraction. 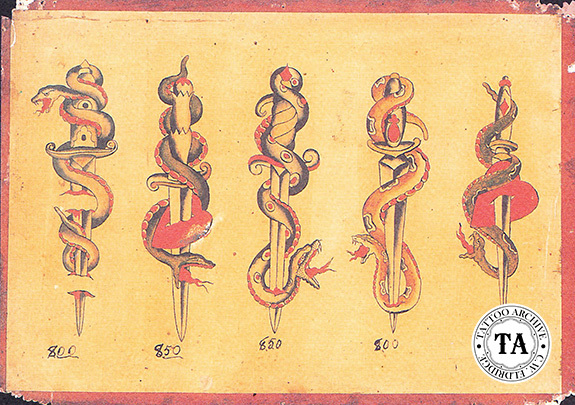 Little is known where Tryon learned the art of tattooing, but by early 1910 he was making a name for himself as a tattooist. He was a man of many talents. Bob Shaw remembered Tryon as a magician, wirewalker, a hand balancer and fire-eater. Jack's wife was a snake handler and often worked with him. Tyron also worked as a boss canvas man on railroad shows like Sells-Floto in 1923. While in the United States Air Force in the late 1940s Col. William Todd was stationed at San Antonio, Texas. He recalls that there were "lots of tattoo shops in San Antonio. On the weekends I would visit the tattoo shops and get a little piece of work from a gentleman by the name of Painless Jack Tyron. I got to talking with Jack and wanted to buy a machine. He fixed me up with a little machine, a bottle of color and 4 or 5 stencils of Air Force wings and such. I took it back to the base, we only got off Sunday, so Saturday I was tattooing a bunch of my buddies. I did this for about three weeks. One day the Officer of the Watch came in and made me wrap my stuff up, and he took it to the Orderly Room and confiscated it from me. I wanted my machine and stuff back but I was afraid to say anything. I left there and never heard any more about it". 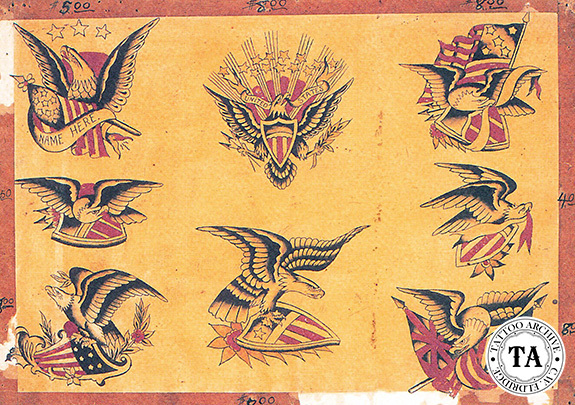 Just a few years later, Tryon played a part in Bob Shaw's tattoo career. At that time, Bob was working for Bert Grimm in St. Louis. "By the Fall of '48 business was just so slow. Bert contacted an old circus friend who was in San Antonio, Painless Jack Tryon, and he gave me a job. I went to San Antonio in May of 1949." It is interesting that Jack Tryon had an affect on both Bob Shaw and Col. Todd early in their tattoo careers. Shaw and Todd went on to work together in Clarksville, Tennessee in the 1950s, at Long Beach, California in the 1960s, and owned a shop together in Portland, Oregon in the 1970s. Tex Rowe drifted through San Antonio in the 1940s and remembered Tryon as "a tattooed man covered by Wagner and Albert, and an old-time circus tattooer who worked out of an antique circus wagon. Staked me to my first square meal in days and let me sit-in for a while to make a little 'walking around' money."